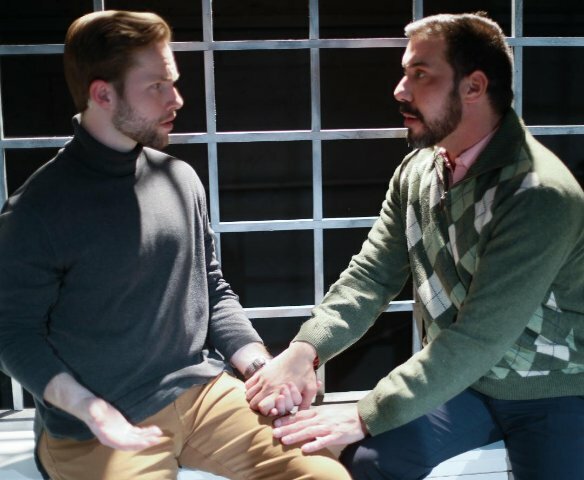 (Photo by George Wentzler) Dennis (Billy Hutto) and Gregory (Dean Nigro). (Photo by George Wentzler) John (Alex Alvarez), Ethan (Todd Bruno), Dennis (Billy Hutto) and Gregory (Dean Nigro). 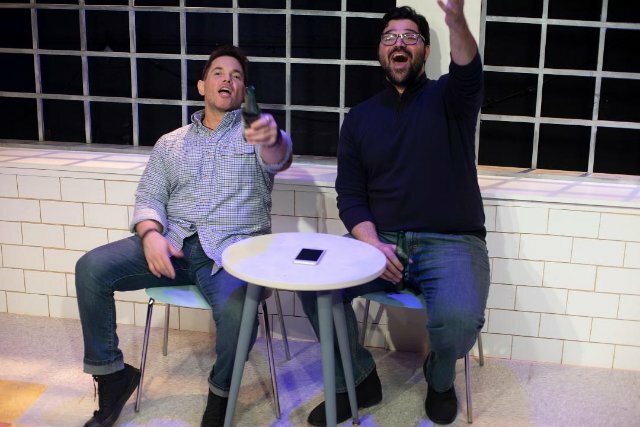 And in a devastatingly honest manner, playwright Michael Perlman’s taut, riveting, award-winning piece, From White Plains, demonstrates the truth of Faulkner’s remark. In fact, they are trapped in a suffocating, spinning web of guilt, shame, revenge and sorrow which proves that time does notnecessarily heal all wounds.